Foreclosure ripoffs are out there, so be careful. They come in two forms. The first are the foreclosure ripoffs that try to sell a home that has been all but destroyed and is not worth what HUD wants for it. You could end up paying way too much for it and end up suffering a big loss. But the foreclosure ripoffs I want to talk about today are the online foreclosure sites that charge you for information. I got a call this morning from a woman who was charged $150 online for foreclosure listings from one of the many sites that pretend to offer exclusive foreclosure information or represent that they have a foreclosure database you should pay them for. Do not pay online sites for listing information like this. The woman I spoke to this morning calls these sites foreclosure ripoffs. You should never pay online for foreclosure information. While such services may be legally legitimate, many consumers consider them foreclosure ripoffs. 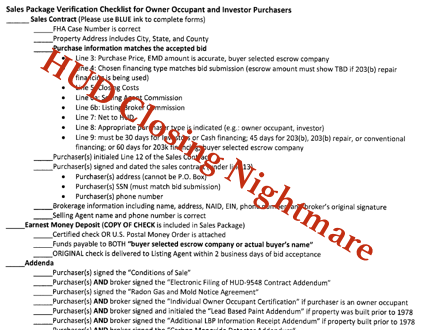 HUD closing requirements are a nightmare scenario for buyers. If you think buying real estate from a normal human being can be challenging, wait until you try to buy a home from HUD through their online bidding process. And if you think you’ve seen voluminous paperwork requirements, you haven’t seen anything until you bid on a HUD foreclosure and complete the many forms they require after the bidding process. I represented buyers bidding on a HUD foreclosure, and we had to go through the process of downloading instructions that take hours to figure out, complete a very complicated offering package with clauses that would make Vladimir Putin pause, and that required signatures not just from the buyers but also from their Realtor and the escrow company closing the transaction. You would think you are applying for a top security clearance or a billion dollar loan, because everyone has to provide multiple identifications and documentary proof ad infinitum. HUD uses real estate terminology wrong, and they required information that is absolutely unnecessary. Their contracts are a maze of misused contract clauses. How do I know these things? I practiced real estate law for 20 years and have been involved in real estate transactions going back 37 years. Essentially, what we have is a lack of adult supervision at HUD. Would you like a peek at their initial instructions, and this three page list of single spaced instructions is only the tip of the iceberg. The online bidding and the contract package and required documents are as much as 10 times this instruction sheet. My buyers and I will get through this transaction, but if I hadn’t been a real estate attorney, I don’t know how we would have done it. If you are thinking about buying a HUD foreclosure, I strongly urge you to read this HUD Closing Requirements list. And then have a drink. If you don’t drink, you’d better have two. I recommend you think long and hard before trying to buy a HUD foreclosure. A government mess of major proportions: HUD Closing Requirements. Lawsuits against auction.com are coming, and there will be class action lawsuits and individual lawsuits, and it is going to be one big legal mess. If you think auction.com is a pure auction site for real estate and foreclosures and short sales, think again. What many of us believe is fraud is now common practice at auction.com, and it has come to light that auction.com is anything but a transparent and honest auction service for real estate. There are many legal issues that may involve consumer fraud, but perhaps the biggest fraud against ordinary consumers like you and me is a shock to investors when they first find out. Did you think that if you bid on a property on auction.com that you were bidding against other buyers or investors and that it was an open and honest auction? Oh, how wrong you would be. Have you spotted a Fannie Mae foreclosure in the MLS that looks like it could be “the one”? 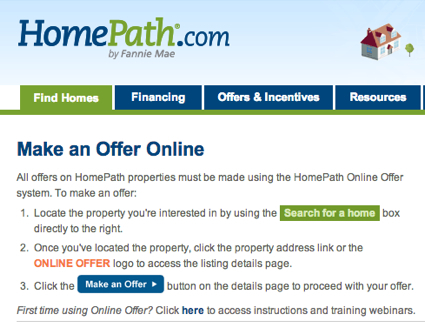 Buying a foreclosure from Fannie Mae through their Homepath website is a Buyer Beware nightmare. But if you’re a regular reader of this real estate blog, you know that I take the experience of thousands of other buyers and a lifetime of experience myself, and I share those experiences with you so you won’t have to learn the hard way. If you can sidestep a nightmare, then I’ve done my job, and your life will be better for it. So what do you need to know in 500 words or less about a Fannie Mae Foreclosure and their Homepath system? Pursuant to Section 28 of the Real Estate Purchase Addendum, this document is subject to all the terms and conditions set forth in the Real Estate Purchase Addendum. What about Sequim foreclosures? 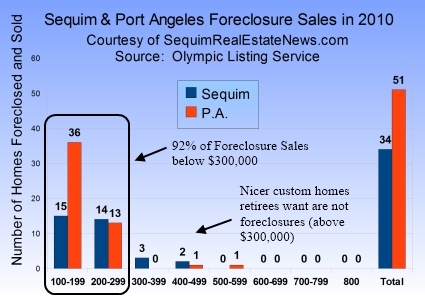 Are there some opportunities for buyers with Sequim foreclosures? 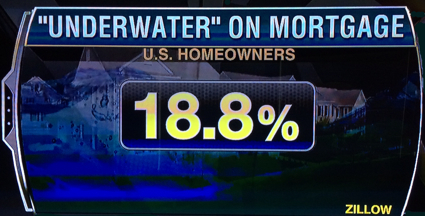 Today Zillow reported that 18.8% (almost one in five) homes in the U.S. are underwater, meaning they owe more than their homes are worth. That is almost 10 million homes that are underwater. On a national level, the group of home buyers called millennials (basically 24 to 34 years old) are not buying homes like they did from 1990 to 2005. Thirty percent of millennials feel it is better to rent than to own right now. The job market for them is still weak, and many millennials are living at home with their parents. For the large numbers of young people that purchased homes with easy mortgage money, many are underwater, and many have lost their homes to foreclosure. Sequim is a different story. We never had a large population of millennials in Sequim, and that means we haven’t suffered the large numbers of foreclosures. Retirees who have been moving to Sequim for decades are financially conservative and not dependent on new jobs or the fluctuations in the economy. Their pensions have taken a hit during this recession as mutual funds have dipped, but they live within their means and their homes are not underwater. This explains why there are not many Sequim foreclosures and why the real estate market has been much more stable in the Sequim area. You can still look at foreclosures in our Sequim MLS, but very few retirees find a foreclosure they would consider their retirement dream home. See the full list online at Sequim Foreclosures. Can I Find a Foreclosure That is a Good Deal? Is it hard to find a foreclosure that is a good deal in Sequim or Port Angeles? The short answer is yes, but there’s much more to the answer that you should know. There’s nothing wrong with buying a foreclosure, if it’s a fantastic price in a great area with a floor plan you love. 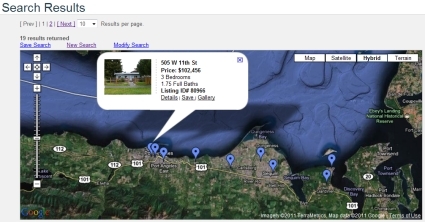 So how hard is it to find a foreclosure in the Sequim area like that? You can see from the list that there are few “steals” in the Sequim area. If you expect to find a foreclosure that is an unbelievably low price, below any other homes in the MLS, you may be disappointed. Even investors with money burning a hole in their pockets are not finding garage sale prices when they try to find a foreclosure here. I have sold a couple of short sales and a couple of foreclosures to my buyer clients, but that includes the last decade. Sometimes you have to wait for the bank to lower the price until it gets realistic, but even then it’s rarely a steal. If a home is a nice home in a good area, and if it is priced at fair market value, it doesn’t matter if it is a foreclosure or not, it will sell in a reasonable period of time in Sequim. Check out the MLS link above with all the foreclosures, and if I can help you find a foreclosure that you want to see, email or call me anytime. New rules are coming for the deed in lieu of foreclosure on March 1, 2013. If a loan modification or short sale is not feasible, there will be a practical alternative to foreclosure, regardless of whether you are current on the mortgage payments. The previous ridiculous rule was that you had to be in default to be considered for a loan modification or short sale, and the banks did not accept a deed in lieu. As of March 1st, borrowers who are current on their mortgage but meet certain criteria will be eligible for a deed in lieu of foreclosure. A deed in lieu of foreclosure is a quit claim deed that grants the property to the bank without a foreclosure. 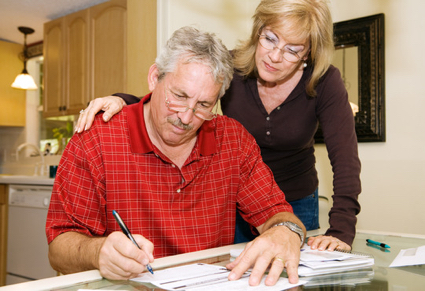 It is a voluntary act by the homeowner and this new rule will allow banks to accept a deed in lieu. Fannie Mae and Freddie Mac will offer loan servicers $1,500 for every deed in lieu completed following the new guidelines, and they will now be able to offer up to $6,000 to second lien holders to expedite deeds in lieu. Being able to offer the second lienholders something will certainly facilitate approval. A hardship that has caused a reduction in income due to circumstances outside their control (fewer regular working hours, for example). A hardship that has caused an increase in housing expenses due to circumstances outside their control. It makes sense to look at Sequim foreclosures and Port Angeles foreclosures if you are retiring and looking for the best value in your retirement home. But I don’t want you to waste time on sites that purport to list foreclosures when they do not. 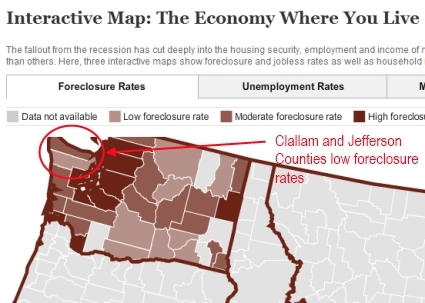 There are many, and in Clallam County that includes inaccurate data on Foreclosure.com and RealtyTrac.com. There is one accurate source of information on foreclosures that are in the actual process of being foreclosed or already have been. Here I share that resource with you. This site is the Clallam County Auditor’s website, and you’ll find recorded documents for any foreclosure in the county on this site. No other service anywhere on the Internet has this original and accurate information on Sequim foreclosures and Port Angeles foreclosures. Foreclosure help is available, although in the Sequim area we have very few foreclosures compared to everywhere else around the country. 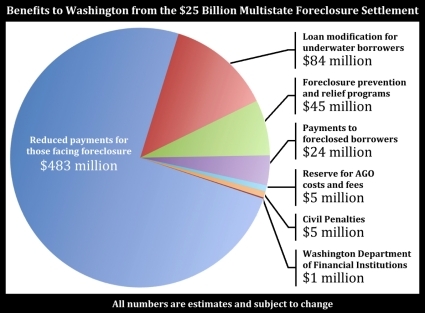 A lawsuit by Washington State Attorney General Rob McKenna clearly lays out the arguments for consumers, and if you’d like to see what those arguments are in the actual complaint, go to Foreclosure Help. Consumers definitely got ripped off by the mortgage and banking industry, and while a recent $25 billion settlement with the banks is a good thing, millions of Americans will never be made whole. Unfortunately, for the vast majority of homeowners who had their homes foreclosed, or who are going through a foreclosure right now, foreclosure help comes too little too late. I don’t know anyone who has received relief and who has been made whole from a wrongful foreclosure, nor do I know anyone who knows anyone who was made whole. The hullabaloo is probably more of a politician’s heyday to get attention than it is really to help individuals. If you click on the image above, you’ll be taken to the Washington Attorney General’s website where you’ll find more information on possible help and resolutions. Foreclosure Help. Foreclosure Process in Sequim Do you own a Sequim or Port Angeles home that is now in foreclosure or just a month or two away from the . . .
Foreclosure Help. The foreclosure process is quite involved and takes a minimum of 6 months and more often 12 months. As a Realtor I don’t list foreclosures, but . . .
Foreclosure Help. The foreclosure process of many homes around the country is being challenged because of allegations of wrongful procedures by financial . 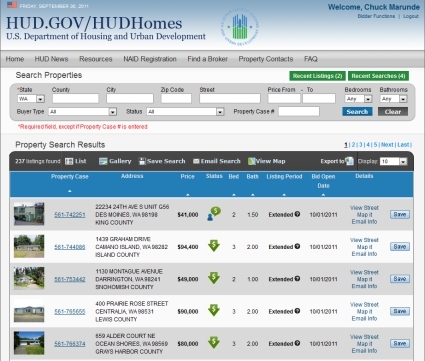 . .
HUD homes are foreclosures that are now owned by HUD (Housing and Urban Development) and listed for sale by HUD. 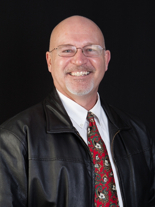 Chuck Marunde, Managing Broker of Adamas Realty in Sequim is now Registered with HUD to represent buyers of HUD homes. This gives buyers the ability to make offers online through a Registered HUD Homes broker. The foreclosure market can be divided into to main categories. There are HUD Homes, which were homes with FHA loans that were foreclosed by the banks who made those loans. Those banks get reimbursed by HUD for their losses and transfer ownership of the homes to HUD. HUD insured these loans and the banks collected a mortgage insurance premium from the borrowers to pay for that insurance. These become HUD Homes now listed for sale. The other type of foreclosures are those that were made with conventional loans (and all non-HUD insured loans). The banks that made these loans foreclosed and now are selling the homes. It gets a little more complicated than that, because many of these loans were packaged and sold and resold, so the owners now may be far removed from the originating bank. These foreclosures are not in the HUD Homes database, but are listed for sale in the MLS. If you would like to make an offer on a HUD Home or a Foreclosed Home now in the MLS, contact Chuck Marunde at 360-775-5425. Are Sellers Out of Touch With the Sequim Real Estate Market? The Sequim real estate market is a tough real estate market, but I have been observing a consistent pattern for three decades now. I periodically get questions from homeowners who want to sell their homes, or from FSBOs (For-Sale-By-Owners) who are trying to sell their own homes. I have learned so much about the mindset of homeowners in this market, and I’m surprised at some of the misconceptions owners have about selling homes. I fully realize that some homeowners will not necessarily believe what I will share, but I swear everything I have experienced on this subject for three decades has been consistently true about FSBOs. I did not write this article just to get FSBOs to list with me. Anyone who reads my blog knows that I share everything I know, and I always tell the truth even if it is uncomfortable. Let me share more about seller misconceptions beginning with an analogy. Imagine a gentleman who had a successful career as a biology teacher, and his primary hobby is bird watching and photography. He is passionate about his work and his hobby, and he’s good at what he does. He married the love of his life, who also had a successful career as a dental assistant. They retire and live happily ever after. Well, almost. They decide to sell their home. They’re intelligent and mature people, and people of good honest character. Now they have decided to sell their home, and here’s where the misconceptions start. I mean no disrespect at all when I suggest that there is a lot more to selling a home than they think they know. Selling a half million dollar home is not like having a garage sale, putting some plywood on some saw horses, laying out books and jeans and dishes neatly on the tables, and making some price tags. As comedian Dennis Miller often says in his act, “I don’t want to get on a rant here,” but I see homeowners and FSBOs make many mistakes. It’s unfortunate, because they cost themselves a lot of money and time and stress . . . unnecessarily. Here are a few articles I’ve written about these very issues in this Sequim real estate market. 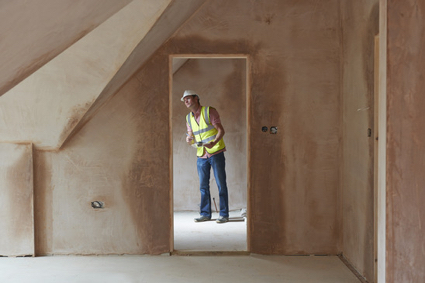 I can almost guarantee that a good, honest homeowner who wants to sell his own home will not have a lifetime of experience to do that job as he needs it done. Many think they do, but I’m not entirely sure why they think they can do something so important without the education and experience. I don’t work on my own car’s electronic ignition system. I don’t try to do my own electrical work. I’d probably get electrocuted. There is too much to know and too much at risk when it comes to selling a home. My point is best made by reading all of the following articles. If you’re a FSBO or thinking about selling your home, I strongly urge you to take all these articles seriously, because I promise what I have written is true and accurate. I don’t care if you list your property with me, but ignore three decades in real estate and 20 as a real estate lawyer if you want to. I have no dog in this fight when it comes to your decision to sell your own home and how much you make or loose on the sale. I am honest and sometimes blunt when it comes to the truth. If you find what I write helpful to you, then great. If you’re offended by the truths I share here, I make no apology. Why Can’t I Just Sell My Own Home? I find it fascinating that buyers are the ones doing so much research on the Internet and doing their due diligence on areas, houses, and agents. Sellers generally are not. Buyers not only do extensive online research before they arrive to look at homes, but then they look at many homes in person to complete their knowledge of home values and features. Sellers neither do online research to find comparables, nor do sellers spend time viewing dozens of home currently on the market. Instead, sellers simply call an agent and rely on the agent to tell them what their home is worth and trust that their agent has a great marketing system. Sellers do not do their due diligence on their agents either. 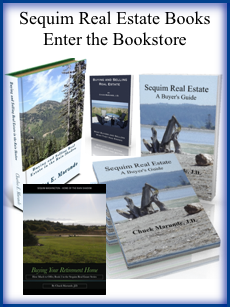 Buyers do extensive research on their buyer’s agent in the Sequim real estate market. From 85% to 95% of FSBOs never get their homes sold themselves, but end up listing with an agent after many months of lost market time and a lot of frustration. Of the remaining 5% to 15%, only one or two actually get their homes sold. That’s one or two homes out of a hundred, and that may after be one or two years on the market. And the price they end up selling for is typically far less than they would have gotten with a professional, even with the commission. These numbers come from extensive national statistics and 37 years in the business. [The one success story of someone who got lucky and sold their own home in two weeks circulates for years, but someone also won the lottery last month.] The Sequim real estate market is not different than other markets in this respect. Qualified intelligent buyers are hiring a buyer’s agent who knows the local market and the local real estate issues of concern, knows prices, and know how to negotiate and handle the transaction details professionally. 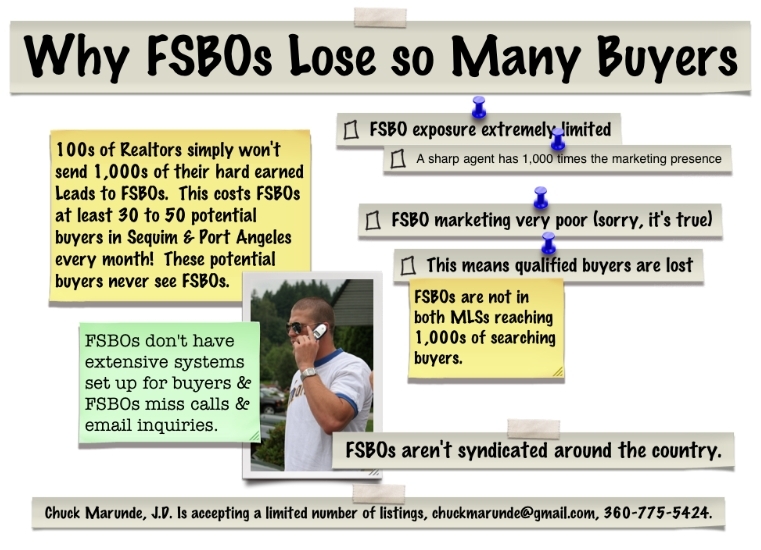 This means FSBOs are off the radar screen for 99% of the buyers. Like it or not, this is true. If you’re expecting a buyer will see your For Sale sign, good luck, because the odds of that happening are extremely small, and the best most qualified buyer for your home at your price is most likely searching the Internet. This Sequim real estate market is not the time or place for a homeowner to learn by trial and error how to sell a home. Sequim foreclosures make up a very small part of the market. We all hear about the massive number of foreclosures in Las Vegas and Phoenix and several other cities around the county, and people talk about stealing houses for incredibly low prices, but that market does not exist in Sequim. That’s actually good for local homeowners who hope to sell their homes. The last thing they need is a glut of foreclosures on the market that would make selling their homes so much harder than it already is. But it’s also good for retirees who are planning to buy a home in Sequim now. The last thing a buyer wants is an unstable market with lots of foreclosures. Buyers want to know they are buying in a stable market so their own investment will be sound in the years ahead. There just are not very many Sequim foreclosures. To make the point objectively, here is the entire list of all foreclosures listed for sale right now in Sequim and Port Angeles combined. Actually, these are all the foreclosures in all of Clallam County. In our MLS these are called “bank owned” because they have been foreclosed and are now owned by the banks. As you can see there are only 33 foreclosures for sale in Clallam County, and there are only 6 Sequim bank owned foreclosures in all of Sequim as of today (6/24/2011). There are only 27 foreclosures in all of Port Angeles. The first column shows the MLS numbers, and the last column shows the total Days on Market (DOM). Clients ask me regularly, “Can I find a nice 3 bedroom, 2 bath ranch style home on one level on a great lot in a nice area at a fraction of the cost of other homes?” The answer with respect to Sequim foreclosures is, “No.” Why do I say no? First, there are not very many Sequim foreclosures. 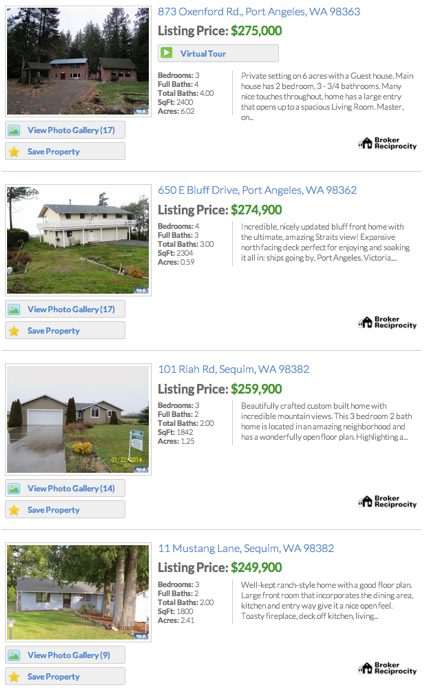 There are only 6 Sequim foreclosures listed for sale in the MLS today. We have 835 homes listed in the MLS for sale today. The Sequim foreclosures represent about 1/2 of 1% of the inventory. Compare this to Las Vegas. Foreclosure filings were reported on 14,940 properties in Las Vegas in August, one in every 53 housing units, which is more than 6.7 times the national average. With only 6 foreclosures in Sequim, it is highly unlikely you will find your dream home in that short list. Second, most of these foreclosures are not what retirees are looking for. Most of them are not the ideal floor plan, or they are not in an attractive area, or they are in such disrepair, retirees don’t want them. Even millionaire investors are not buying these homes. That ought to tell you something. If you would like to look at any of these foreclosures, simply use the MLS number or the address to look them up on this Sequim MLS site. You’ll see full photographs and details about the property. And if you want to view any of these Sequim foreclosures, just email me or give me a call at 360-775-5424. How to Buy a Foreclosure is a subject I’ve written about many times on this real estate blog, but today I want to focus in on a very important part of the process that very few people know about, including Realtors. Banks that foreclose on homes hire outside companies to list and market their foreclosed properties. Those companies hire contractors who clean up and maintain the homes, and they also hire Realtors to list the property. Just in this little chain of people and companies, you can get the idea that there are many intermediaries. But it gets better, or should I say it gets worse. These companies hire asset managers, who coordinates many of the details necessary to manage the home and get it sold via all these other parties. This makes the asset manager the primary point of contact and decision maker for the banks, and it is the asset manager who the listing Realtor communicates with when an offer is presented by a selling Realtor. Get ready for the nightmare. Asset managers typically only need a high school education, and many of the job applications on the Internet for asset managers indicate they only need two years of related real estate experience, which could have been working for a mortgage company during the mortgage fraud and real estate market crash. No wonder they don’t understand the process of negotiating and documentation. Without going into great detail, let me tell you that asset managers never put a counteroffer in writing. Normally, of course, a buyer makes an offer and a seller will often counteroffer, which they do in writing. Not the foreclosing banks. Their asset managers do not understand basic contract law and real estate practice, and . . . they definitely do not understand the negotiating process. Instead, the asset managers give their listing agent some vague notion of what they would like, which often is impossible. (For example, it is impossible to get a lender’s letter requiring repairs before there is mutual acceptance on all terms and before an appraiser has even been appointed by a bank which hasn’t even been hired to process a loan yet.) There are many examples of ridiculous and foolish responses by asset managers. Asset managers not only require the selling Realtor to draft the bank’s counteroffer for them when the Realtor represents the buyer, but . . . and I’m not kidding or exaggerating here . . . the asset managers also want the selling Realtor to literally guess what the banks’ counteroffer should be. I kid you not, the listing agents are typically unable to articulate their own client’s position. Their own clients (the asset managers) refuse to put any counteroffer in writing or articulate what they want in writing! This can put a buyer in a twilight zone of trying to buy a home, having agreed upon a price, but unable to get the bank’s representative to cooperate using standard Washington state real estate documents and processes. No wonder our foreclosure market is such a disaster! There’s no adult supervision at these institutions. If you do want to buy a foreclosure, I understand the process, as frustrating and time consuming as it can be. I’d be glad to help you walk through this labyrinthian process, if you have a lot of stamina. If necessary, I’ll bring some adult supervision to the process on your behalf. Fore more about the foreclosure process, the documents and timelines, and the processes involved in buying a foreclosure, simply do a search on this blog for “foreclosures” (without the quotes). There are dozens of articles. Foreclosure sales in Sequim and Port Angeles for the calendar year tell an interesting story, especially if you are retiring and planning to buy in Sequim or Port Angeles. Clients from out of state periodically ask me if there is a good deal to be had in the foreclosure market. We all hear stories about how someone somewhere bought a mansion for pennies on the dollar. So the question is legitimate. “As a retired professional moving to Sequim, can I get a beautiful custom home with a nice water or mountain view at a garage sale price?” I’ll answer this question about foreclosure sales with solid sales data right here. Theses foreclosure sales are revealing information when compared to what is happening nationally or around other areas of the country. RealtyTrac, released its Year-End and Q4 2010 U.S. Foreclosure Sales Report, which shows that foreclosure homes accounted for nearly 26 percent of all U.S. residential sales during the year, down from 29 percent of all sales in 2009 but up from 23 percent of all sales in 2008. In Clallam County we had a total of 85 foreclosed homes above $100,000 in 2010, and that represents 13% of the total homes sold in Clallam County above $100,000. But less than 1% of the foreclosed homes are what most retirees are buying, at least the retiree clients that I have been working with over the past three years plus. Obviously, some retirees undoubtedly are buying some of the lower priced homes, but Sequim attracts many retired professionals who want homes priced above $300,000. When I look at homes that were bank owned and previously foreclosed upon by the banks in Sequim and Port Angeles (foreclosure sales), I see a pattern that has great relevance for retired professionals. The vast majority of foreclosure sales were in the $100,000 to $300,000 price range. And in Port Angeles there were about twice as many homes as Sequim foreclosed on below $200,000. Housing is cheaper in Port Angeles, and there are more lower end homes being foreclosed on. The nice homes that my retired clients want to look at are almost always above $300,000, and as you can see in this chart, there have been very few foreclosure sales above $300,000. 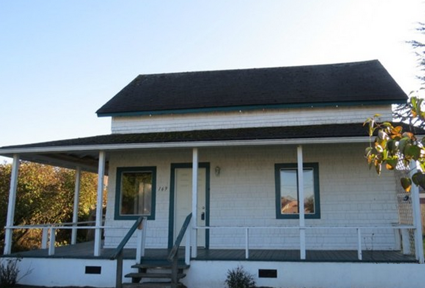 In all of 2010 there were only 5 homes above $300,000 foreclosed on in Sequim. It is highly likely that these were not water view or mountain view homes, and probably not on a lot in an area that retirees would typically choose. This affirms what I have been telling my clients, that the best homes at the best prices for retired professionals who want a beautiful custom home in a nice area are current listings for sale but not foreclosures. Foreclosure sales are just not where the best homes are found in this small real estate market. 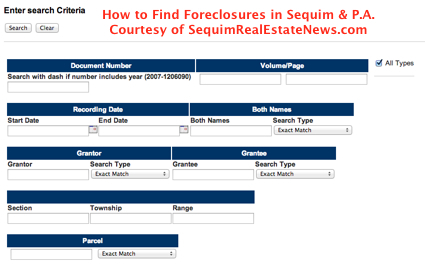 How can you find Sequim foreclosures? The Clallam County foreclosure market, including Sequim and Port Angeles is chaotic at best, but I’ve created several resources for you and they are all free. Having practiced as a real estate attorney for 20 years and having done many foreclosures myself as well as represented many clients in purchasing foreclosures, I know what resources are available and what you as a buyer and investor need. I also know what fees and costs can be compromised, and I know precisely how to negotiate the best possible price. If you want to buy a foreclosure, may I suggest you use these resources online, and then do the next logical thing: ask me to represent you as your Sequim Buyer’s Agent. I cost you absolutely nothing, because the selling bank pays my fee even though I represent you against their best interests. I love that, and my clients love that too. Okay, let’s get to your free online resources for Sequim foreclosures. I have a site I designed to make it easy for you to search for listed Sequim foreclosures, which are called REO’s. These are foreclosures that are back in the bank’s ownership and have been listed in put in the Sequim MLS and the Port Angeles MLS. 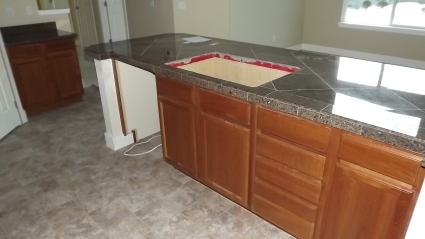 This site pulls up the foreclosures that are listed in the Northwest MLS and are foreclosures. The site is Sequim Foreclosures. You can also just click on the above image. If you search my blog, Sequim Real Estate Blog, with the phrase foreclosures, you will find many articles, videos, and links to Sequim foreclosures. 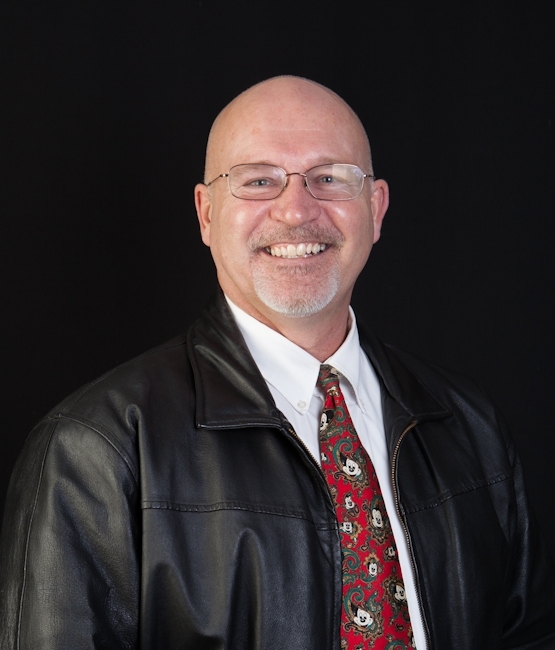 Search for your Sequim foreclosures and then email me at chuckmarunde@gmail.com or call me anytime at 360-775-5424. 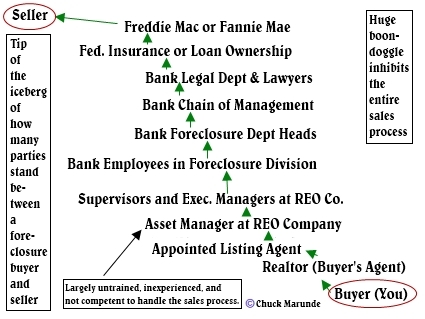 Sequim foreclosures courtesy of Chuck Marunde.